A magazine rack that can be hung on the wall and is as beautiful as it is practical. The storage room is located at the intersection of the two metal lines - guidelines. Sleek yet playful. 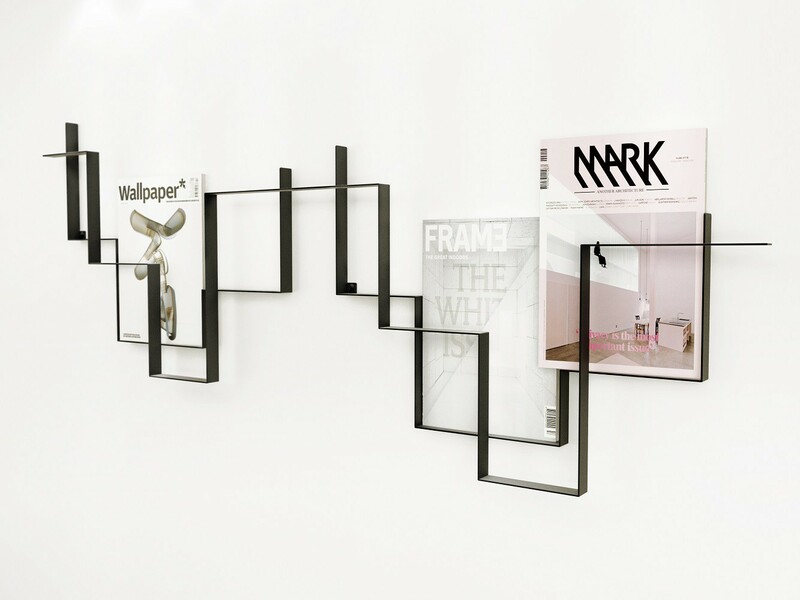 Frederik Roijé designed this magazine rack in 2010. A container for magazines that can be attached to the wall and that is as beautiful as it is practical. Two metal compartments - bent at different angles - form two lines. At the intersection of these guidelines, the storage room for magazines and books arises. “Lines that find their own purpose where their paths cross” as Frederik Roijé puts it. A playful way to store magazines. Also suitable for smaller rooms such as a waiting room or office. 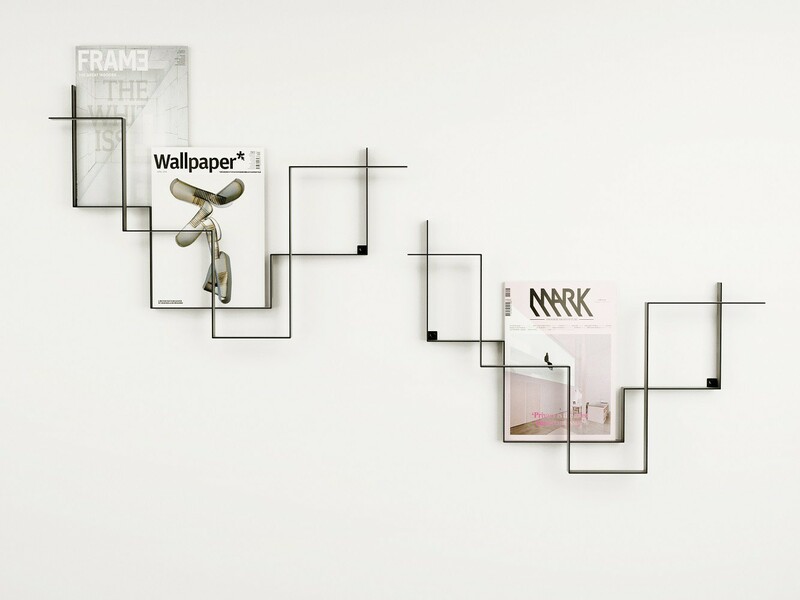 The magazine rack is made of two edged profiles of high-quality metal. The Guidelines have a width of 73 centimeters, a height of 52 centimeters, and a depth of 6 centimeters. This piece of wall jewelry is available in the colors white, light grey, or dark grey. Not only designed, but also manufactured in the Netherlands.